The SB Dharmik Samaj Senior Citizens Welfare Trust is a nonprofit housing body which is associated with Vakil Housing Development Corporation. Panchavati is suppose to be a retirement home complex where senior citizens from diverse background can come and live their sunset years in peace and prosperity. 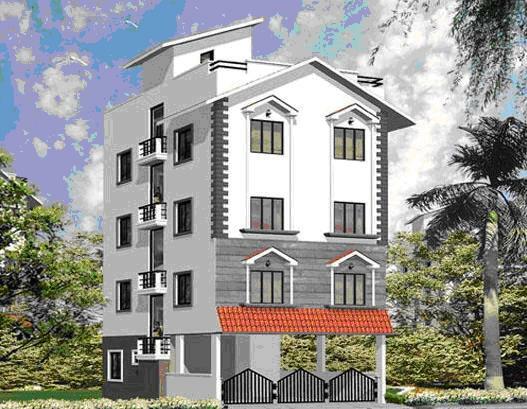 It is located some 20 kilometers away from the main city of Bangalore , off the Bangerghatta road, inside Vakil Township , a gated community of about 1000 apartments located in Jigani. The interesting feature of this complex is that another relative if nominated by the current resident of the complex can inherit the apartment provided he/she is around 50 years of age. In an alternative scenario the trust returns the money deposited to the nominee with additional bonus value. Around 100 units are ready for possession and the trust aims that the project would be completed by next year.